Boney Kapoor to make a documentary on Bollywood’s Chandni- Sridevi’s life? Boney Kapoor is likely to make a documentary on the life of her late wife Sridevi. One of Boney's close friends is likely to helm the project. Bollywood’s first ever female superstar Sridevi’s sudden demise has created a void in the industry. The diva who ruled millions of hearts throughout her star-studded career left for her heavenly abode on February 24. Fans still are not able to believe that their beloved Chandni is no more. More than the fans or the industry, Sridevi’s death is a major loss for her husband Boney Kapoor and two daughters Janhvi and Khushi. The Kapoor family is holding their ground together and trying to cope with the loss of an integral member. Boney Kapoor is likely to make a documentary on the life of her late wife, if recent media reports are to go by. Reports suggest that Bandit Queen director Shekhar Kapur will helm the project on the veteran actress’ life and work. “It will be a kind of one-stop visual legacy on her life and cinema, with the rarest of rare footage and voices of everyone who mattered in her life’’, a source told Asian Age. “Boney is very disturbed by what he considers untruths that are being spread about his wife’s death’’, the source further told the leading daily. For the uninitiated, Shekhur Kapur directed Mr. India which turned out to be a milestone in Sridevi’s career. The ‘Sadma’ star received the Filmfare Special Award for her brilliant performance in Mr. India and Nagina. 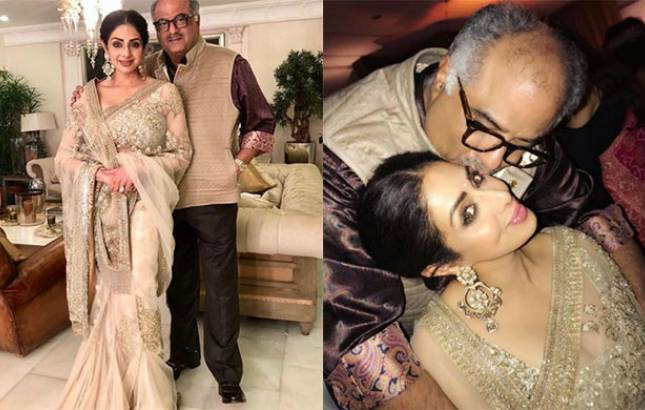 Boney Kapoor who fondly used to call Sridevi ‘Jaan’ revealed the last moments he shared with his loving wife to Komal Nahta. The ‘Mom’ producer recounted the fateful night of Feburary 24 in Dubai when the ‘Judaai’ actress breathed her last.